How would you like to lose 10 to 17 pounds in just 7 days? Yes, most people would definitely jump with delight upon hearing such great news. Many would surely grab this opportunity, eager to shed off unwanted fats and improve their figures rapidly. This is what the GM Diet offers, which is the biggest reason behind its rise in popularity. Over the years, it has become well-known around the world. Why? You guessed it right. It’s effective! It was actually the General Motors Corporation that first came up with this diet, mainly because they want to help their middle-aged and overweight employees cut down on unhealthy pounds and maintain a better lifestyle. This weight loss management program consists only of a total of 7 days and focuses not just on rapid weight loss but also on detoxification and the prevention of medical conditions brought about by obesity. Throughout these 7 days, it is recommended that you drink 8 to 10 glasses of water. You may also consume black coffee and tea, so long as you stay away from sugar and any other forms of it. Of course the major benefit is the quick and huge weight loss that the GM Diet can provide. You’ll also be able to get rid of the toxins in your body that cause fats to be stored and that also bring about various health concerns. What’s more, it’s a good start to help you develop better eating habits in the long run. The required 10-minute exercise daily will also aid you in eventually getting into the routine. 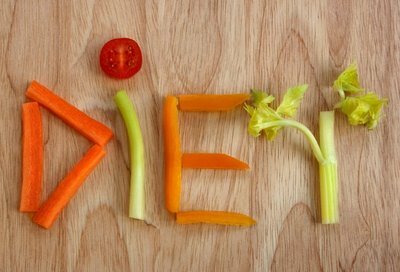 Another advantage is the fact that this diet will not entail you to spend a lot. There are also no pills, drops, or any other supplement required for you to take. Naturally, rapid diets all come with risks. Common side effects reported include muscle weakness, feeling thirsty all the time, and experiencing headaches. And of course doing the GM Diet is quite difficult and will require a lot of hard work and self-discipline. Knowing these benefits and setbacks, the ball is now yours! Should you give it a shot? Well, it’s worth a try if you’re dead set on losing weight fast. Olive is an online freelance writer, social media manager, and entrepreneur. As a former educator, she has had four English textbooks published and today continues to conduct speech and writing workshops for students and employees. She's also a creative spirit, a food and travel enthusiast, and a hands-on mom. HCG Diet: Should You Jump On Board? Must Read:Ulcers Is Not Caused By Stress –What Causes Peptic Ulcers?